It’s 2010 in Unie, South Africa, and Constable Alet Berg is in search of her rise from disgrace. Banished from Jo’burg’s Special Forces Unit to a rural community, Berg finds herself investigating (although not assigned to do so) an unusual murder with only a burned body as her clue. The case eventually unearths layers of historical racial violence. In a braided narrative, we also find ourselves inside the story of two children, products of genetic experimentation during the Boer War, in the early 1900s. A debut novel of speculative fiction, The Monster’s Daughter not only pushes form but complicates our understanding of South Africa’s history of racial segregation and violence. Here, author Michelle Pretorius talks with Maggie Messitt (The Rainy Season: Three Lives in the New South Africa) about writing The Monster’s Daughter, the rise of dystopian and crime fiction in South African literature, the (re)construction of the anti-utopia, and navigating one’s identity as a transnational writer. Maggie Messitt: Could you tell us what your life was like in South Africa growing up, and what led you to leave? Michelle Pretorius: Growing up under apartheid was a very insular experience. The lines were clearly drawn as far as race and gender were concerned, and you didn’t dare cross them. Even within the white community, Afrikaners tended to keep themselves separate from English speakers. The only contact we had with black people was as domestic workers, and it was frowned upon if you were too friendly. Even after apartheid ended things were slow to change. I left because I was curious about the world, and perhaps because I wanted to break away from the pressure and restrictions I experienced as a woman in a very controlling, paternalistic culture. 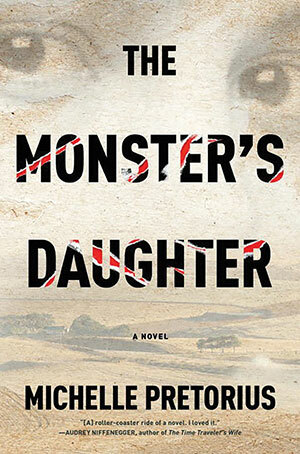 Messitt: The Monster’s Daughter brings us inside a remote town within the Western Cape in 2010 and inside the Second Boer War’s concentration camp system and the Orange Free State, beginning in 1901—periods that bookend the apartheid government of South Africa. Somehow, you seamlessly toggle between the two. Can you describe the challenges you faced in doing this and the book’s structure? Pretorius: You always take a risk when veering away from a single point of view. Readers like to identify with a protagonist and take a journey with them. When you are telling a big story, however, it is hard to restrict yourself to just one character’s experience. The Monster’s Daughter spans about a century and deals with South Africa’s past, specifically the rise and fall of apartheid. Too often we like to simplify our stories by picking the heroes and the villains, and expect them to conform to these types. In the case of apartheid, the Afrikaners are seen as the villains and the freedom fighters are the heroes. While I researched the book, I realized that things are rarely that simple. There were Afrikaners resisting and fighting the apartheid system, and there were factions of the freedom fighters that committed atrocities against their own people. In an effort to tell a full story, I had to give a voice to different characters and their experiences. What better way to talk about a country in which lines and borders were so stringently enforced than to use genre to cross those borders? The cyclical nature of South Africa’s history was also an important factor for me. The Afrikaners were once oppressed by the British and suffered horribly during the Boer War, then in turn did the same to the nonwhite population, often using the same techniques (e.g., destruction of homes and abolishing their language in educational settings). I knew I needed to depict that point in history where the Afrikaners were oppressed. The British concentration camps during the Boer War still form such a large part of the Afrikaner identity today that it was a logical place to start. The chapter about the Boer War was the first thing I wrote, before I even had a clear sense of the direction the novel would take. I realized that I ran the risk of writing something akin to a history textbook if I started the book in 1901 and wrote the story chronologically. I needed a hook, something that would keep the reader engaged. I have always loved reading crime novels, my guilty pleasure. The idea of using a murder mystery as the device that propels the story forward was very appealing. There is a trend in the literary world in which authors are increasingly crossing genre lines. What better way to talk about a country in which lines and borders were so stringently enforced than to use genre to cross those borders? Messitt: I appreciate your use of language and quotidian detail, both authentically South African, and your decision to allow the reader to contextually ground themselves in their meaning. In my own work, I’ve had to navigate the use of Xitsonga, Sesotho, isiZulu, and Afrikaans, but I find publishers and magazines often push back against immersing readers too deeply inside a foreign language or culture—it’s as if they’re afraid the reader won’t survive on their own. Was this a conscious decision, and as a South African living (and publishing) in the United States, what concerns might you have had in doing this? Pretorius: I wanted to bring a feel for the rhythm and usage of language in South Africa to The Monster’s Daughter. There are eleven official languages in the country. Words often get borrowed and phrases directly translated or mixed up in everyday speech. I thought it was important to give that flavor to the book to emphasize the multiculturality in the country. To a US reader South Africa is an exotic setting, and the language and usage is very much a part of that sense of place. Of course I had some concerns about it halting the flow of the novel, since unusual or unknown words have the effect of taking us out of the narrative while we ponder meaning or, even more unfortunately, forces us to go and look them up. A friend who had read an early version of the novel even suggested that I have a glossary, but I wanted to avoid that as much as I could for the same reasons. I therefore limited the usage to a few words that I tried to make clear in context and repeated them throughout so that the feel of the language remains without it getting bogged down in explanation. There was also the issue of context. In South Africa, there might also be a word or phrase in use that means something completely different in another country such as the US. I’m thinking specifically of the use of “coloured,” a derogatory racial term in the US but a commonly used racial classification in South Africa, such as black or white. Very early on, readers who were not familiar with this usage had some concerns, and it prompted me to explain the difference in the novel, though only a few chapters where it felt organic to the story and not just like exposition. I also kept the South African spelling with the “ou” throughout when referring to race to help indicate the difference between that and the reference to something being a specific color. Messitt: There’s a rise in dystopian literature in African nations, quite specifically in South Africa. Zoo City, by Lauren Beukes, and Dung Beetle, by Jaco Botha, come to mind. Why do you think this might be? Pretorius: I think there is a connection between the rise of crime fiction along with dystopian and speculative fiction in the postcolonial state. Central to postcolonialism are issues of identity, hybridity, multiculturalism, race, and the assertion of a noncolonial identity. Many postcolonial societies experience a surge in both the production and consumption of crime fiction once the colonizer leaves. A reason for this is possibly that crime fiction functions by taking a situation of disorder or imbalance in the world (e.g., a crime or murder) and, through detection, solving the puzzle and capturing the responsible party, thereby making sense of the disorder, giving justice to a victim, and ultimately restoring order to society. The postcolonial subject often experiences a feeling of imbalance as they try to negotiate their way through issues of crime and corruption, the rise of a new bourgeoisie, trying to establish a new identity, and reclaiming older ones amidst the void left by the colonizer. It is no wonder, then, that they find some solace and even a sense of catharsis through the consumption of crime fiction. A common element that crime fiction shares with dystopian and speculative fiction is the idea of estrangement, the idea that we need to step back from our everyday reality, which we barely notice anymore—the fish-in-water syndrome—to see the world through a new lens. This is something that happens in all fiction, but the world created by speculative fiction is so far removed from our reality that we have to pause and actively consider the rules of this world as well as the commentary it is making about our society. Since the 1990s postcolonial fiction has begun to critically look at the society it inhabits, a society that has had time to rebuild itself but has failed in its revolutionary goals. In South Africa, the so-called Sunshine Noir has been prevalent in the work of writers such as Deon Meyer, Angela Makholwa, Sifiso Mzobe, Margie Orford, Diale Thlolwe, among others. Their works reflect societal ills in the postapartheid state and explore the moral ambiguity and negotiated identities in the current postcolonial state with the air of cynicism that the failed ideals of the revolution left upon its subjects. Being confronted by crime and violence on a daily basis makes us normalize it, but by using an alternate reality of genre fiction we can step back and examine our society from a distance, with new eyes, and make the normal strange again, thereby perhaps facilitating empathy, activism, and change (see “The Politics of Crime: South Africa’s New Socially Conscious Genre,” by J. L. Powers, WLT, March 2015, 30–33). Literature reflects, comments on, and predicts our social realities, and it is therefore no wonder that the ideas of a dystopian society remain strong in the literature being produced by and about a country in which hope has been betrayed and colonial suffering continues. Messitt: When I think about dystopian literature in South Africa, I immediately reach for Nadine Gordimer’s July’s People. Ultimately, Gordimer’s narrative seems to recognize that the social and economic consequences of apartheid created a dystopian country. By default, it seems most literature written in that period, intentional or not, was dystopian, reflecting the society within which the writer lived and many struggled. If the depiction of this dystopian world is so strong in late apartheid-era literature, why do you think it continues in force today? Pretorius: As apartheid ended, it seemed that a miracle had occurred. A civil war had been averted, equality had become the law of the land, and people were to be represented in government by their champions. There was hope of a better life for those who had suffered under the apartheid regime. But South Africa, for all intents and purposes, is a postcolonial society. As such, South Africa also followed the predictable patterns and pitfalls of a postcolonial country after 1994. Psychiatrist Frantz Fanon’s ideas of the mimicry man, national consciousness, and the rise of the bourgeoisie, and philosopher Achille Mbembe’s ideas of the banality of power in the postcolony are all at play in the new South Africa. The divide between the haves and have-nots has become a chasm. A recent World Bank report revealed that South Africa has the worst income distribution in the world in a time when worldwide inequality is actually declining and that the sharpest increase of the share in wealth of the top 1 percent happened after the ANC came into power. A lot of economic wealth is still situated in the white population, granted, but whereas the ANC has initiated a number of policies tackling poverty and income inequality, corruption and mismanagement have caused wealth to be siphoned to the new black bourgeoisie with political connections. It seems that the country is still playing the same game, just with new players, and promises to the poor remain unfulfilled, creating a general sense of despair. The country has also experienced a sharp increase in intentional homicide and sexual assault rates since 1994, and what sets it apart from other countries with high crime rates is the particular violence of the crimes being committed. 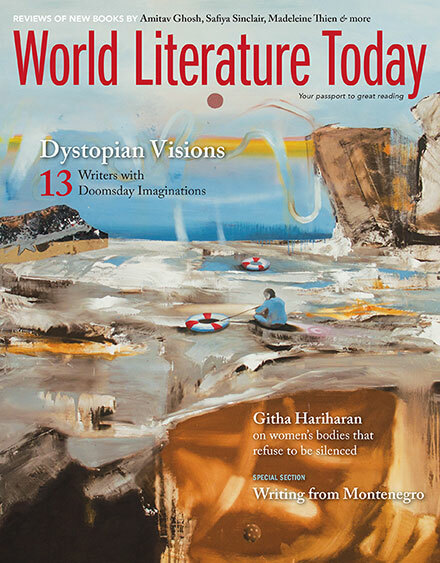 Literature reflects, comments on, and predicts our social realities, and it is therefore no wonder that the ideas of a dystopian society remain strong in the literature being produced by and about a country in which hope has been betrayed and colonial suffering continues. Messitt: I’m intrigued by the binary of utopia and anti-utopia introduced by sociologist Krishan Kumar. If the antithesis of utopia is dystopia (anti-utopia), what does this tell us about the desire for African or postcolonial writers, in general, to explore dystopian worlds on the page? And can you reflect on the dystopian nature of the world you construct (or reconstructed) in Monster’s Daughter? Pretorius: Kumar deals with dystopias as forms of social and political texts and treats utopias as blueprints for political systems. The dystopia or anti-utopia could therefore be seen as commentary on the failure of the idea of an ideal society, and as such I think that postcolonial writers often use the dystopian novel as a vehicle to comment on the failed ideals of the revolution and the aftermath of colonization. I didn’t set out to create a dystopian world in The Monster’s Daughter but to examine the rise and fall of apartheid and its aftermath and consequences in modern-day South African society. As such, the novel functions to some extent as social commentary on an ideal betrayed. We see the Afrikaners revolt against the oppression of the British after the Boer War and attain their goal of autonomy by oppressing the black, coloured, and Indian population of the country and, one might argue, at the cost of their own freedom, as it had to be surrendered to the ideals of Christian nationalism and the laws of the police state. Then, in cyclical fashion, the people oppressed by apartheid revolt against the Afrikaners for the same reason the Afrikaners revolted against the British. In that spirit, the book I’m working on at the moment aims to continue the cycle where The Monster’s Daughter left off and explore post-1994 South Africa and the betrayal of the revolutionary ideals of the apartheid struggle more in-depth. Messitt: You left South Africa in 1999 to come to the US, then spent two years in the United Kingdom, immigrating and finally settling in the US in 2001. I left the United States for South Africa in 2003. I never really thought I’d return, but eventually I did, with great hesitation, in 2011. Today our narratives are not uncommon; we live in a world of migration, though many people’s migration stories are much more complex and traumatic than ours. Early transnational scholars would say that my return somehow eliminates my status as transnational, and others would say that I was never transnational to begin with since I wasn’t leaving a colonized country. But that doesn’t mean that emotionally, geographically, and intellectually I am not transnational. It is a part of me (and my writing) whether I self-identify in this way or not. Teju Cole’s Open City helps complicate those traditional understandings, but I connect most with migration scholars Jørgen Carling and Marta Bivand Erdal who believe there’s a wide spectrum of transnational lives. Return migrants often “no longer identify their home country as ‘home’ and feel more strongly connected to their destination country.” This is a state I deeply understand, but it also represents the experience of so many South African writers and artists who left the country during apartheid, for education or in exile, or soon after its end. How do you define a transnational writer and what do you find are the unique obstacles we face? Pretorius: Transnationalism is about crossing borders and having to negotiate dual identities, among other things. Transnational writers deal with what your identity from X means in country Y and often how Y influences your identity when returning to the home country. Immigrants have a foot in both worlds and are often discriminated against in both because of this. Adichie’s Americanah is one of many examples of literature that tackles the subject. In a globalized society transnationalism is an increasingly common state for not only writers but a large section of the population. 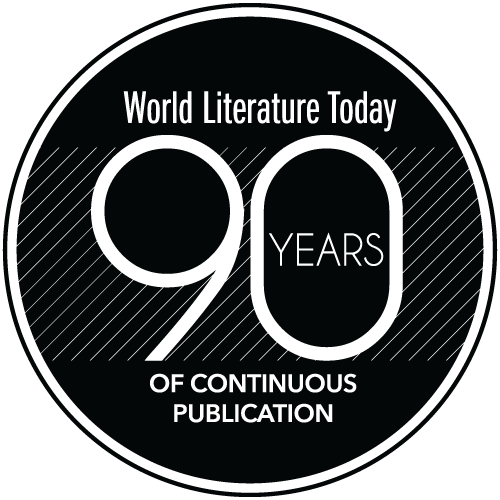 Postcolonial literature includes an increasing tendency toward the transnational as more and more people from postcolonial nations cross borders due to the connection with the colonizing country as well as the colonizer’s lingering presence in the colonized country. The work I have published so far has not blatantly dealt with transnationalism, though the negotiation of identities is something I touch on in The Monster’s Daughter through the presence of the British, but especially through the character of Jacob, who must constantly adapt his identity to survive. I do find, however, that my new writing increasingly deals with transnational themes since I am an immigrant, the United States being a country of immigrants, even though the degree of separation from the home country differs. I’m working on something at the moment that deals with an experience I had while living in Chicago where I found myself surrounded by immigrants and outsiders, the “others” of American society, and I wondered why it was so easy for all these disparate people with vastly different cultures and beliefs to interact with one another and be friends while often being shut out from mainstream society for the exact same reason. I think that is also the unique challenge that transnational writers face, creating enough empathy for the other while creating a connection with the center so that their work gets noticed. 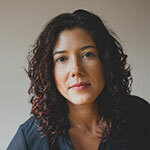 Maggie Messitt is the author of The Rainy Season, long-listed for the 2016 Sunday Times Alan Paton Award in South Africa, where she was a journalist and editor for eight years. A PhD candidate in creative nonfiction at Ohio University, she currently teaches in the low-residency MFA program at Carlow University.